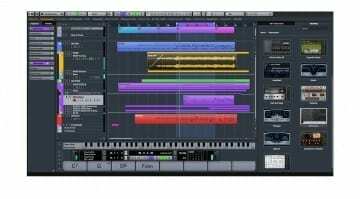 When Steinberg announced its scoring and notation software Dorico in 2016, the Hamburg-based maker of Cubase and Nuendo stated clearly its ambition to “raise the bar on music software”. Ambitious indeed, given the quality of available solutions like Finale and, of course, Sibelius. 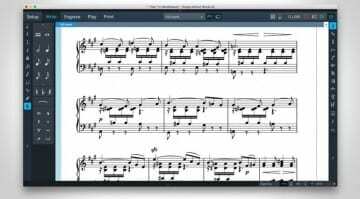 Now Dorico reaches version two, so let’s take a look to see what’s new. Perhaps the most immediate change is that Steinberg is now offering Dorico in two versions, Pro and Elements. The latter is labelled as the “entry-level” alternative, pitched at amateur composers, teachers of instruments and songwriters. The pros, on the other hand, get the full whack. They pay it, too, with Elements costing less than a fifth of the full version. Functionally, the differences between the two are substantial, as you’d expect. Dorico Elements lets you compose for up to 12 instruments (instead of an unlimited number) and the soundset is “basic” (Pro has HALion Symphonic Orchestra thrown in). Over and above that, the bigger version has far more options you can customize, includes desktop publishing, gives total control over fonts and a lot more. Check out the full list of features that separate the two versions on Steinberg’s website. The new features in version two focus on several areas like scoring to picture and automation while adding new tools to handle ossia and divisi. It also sees functions like bar repeats, rhythm slashes, a new handwritten font family and quite a lot more. 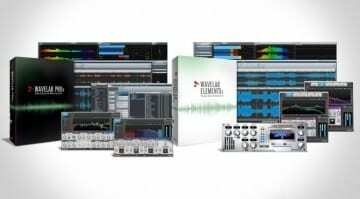 Steinberg has also produced a range of tutorial videos to get users up to speed on the new functions. The Dorico YouTube channel has a total of 85 tutorial videos, suggestive of a substantial effort to coax users of other programmes across to its own software. Dorico Pro 2 costs EUR 559, while Elements will set you back EUR 99. Both versions are available now. Steinberg’s Dorico: Scoring a hit?